The recent unexpected Terrarium TV vanishment, drove the streaming fans crazy. Fortunately, after a while a new decent alternative arises assuming the Terrarium TV heritage. Cinema APK may be your best streaming option to replace Terrarium TV. Not too long ago, Terrarium TV was one of the biggest online streaming services online. Everyone used to rely on it to fulfill their entertainment needs. Unfortunately, like all good things, Terrarium TV was shut down and the developers of Terrarium TV finally stopped providing access from September 2018. If you’re anything like me, you’ve probably been scrambling for a replacement as Terrarium TV seemed to have it all; some had hoped that there would be a newer version of the content service coming but that hasn’t happened yet. This has led to a lot of people looking for alternatives to Terrarium TV. If you’re one of those people then you’re in luck. In this article, we’re going to talk about our number one choice alternative for Terrarium TV. So, if you’re interested in that, stick around. But first, let’s talk about the great Terrarium TV itself. For those of you who don’t know, Terrarium TV appeared around the time when Popcorn Time was closing. It offered content that had been sourced from the internet and was available for Android devices only. It curated content from the internet and allowed users to watch a wide range of media including movies and TV shows. Basically, Terrarium TV could be used in place of cable TV as long as you were only interested in catch up content and didn’t want access to live TV. It was compatible with Android TV as well as Amazon Fire TV and Firestick. The content was available in HD quality with a multi-language subtitles option. As you can tell, everyone loved it. But the app has been shut down and there’s really nothing we can do about it. Our best option is to move on. 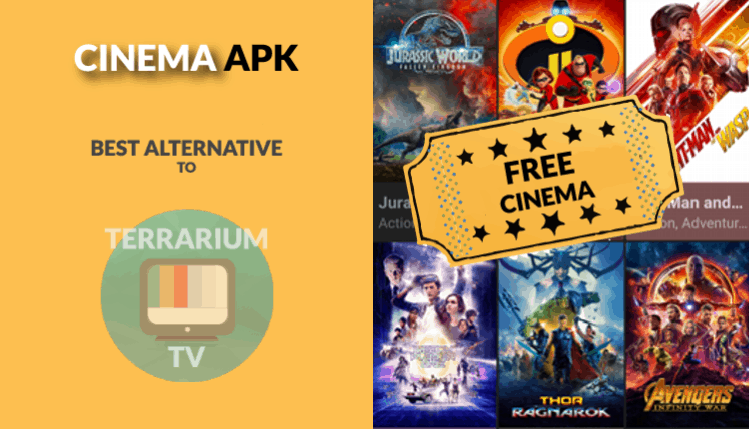 In our quest to find the next best alternative to Terrarium TV, we came across a lot of websites and apps but none of them impressed us as much as Cinema APK did. Before we get into details about the best replacement for Terrarium TV, it’s important to ensure that you are protected and secure. Since we’re talking about streaming services, it’s about time we talk about something that can help us while we’re using such platforms. Yes, we’re talking about VPNs. While countries like the United States don’t have a problem with this, other countries tend to track what they’re citizens are up to. Government surveillance exists in countries like Iran and Saudi Arabia in the Middle East, and of course, everyone has heard of China’s great firewall. In order to protect yourself from such practices and generally protect your privacy online, we recommend using VPNs. VPNs have the ability to protect you from third parties as well as disguise your location online, thus protecting your identity as well. So, if you’re interested in that, why not try IPVanish? We recommend IPVanish because it is the world’s best VPN service. Additionally, it also has a no logging policy so none of your web histories will ever be recorded. Basically, while you’re using IPVanish, there will be no record of what you’re doing online. This is what truly makes IPVanish stand out from others. Other VPNs all store web histories of users on servers. IPVanish does no such things which makes it very secure. In the unlikely event of the service being hacked, you’ll be happy to know that there’s no way for any prying eyes from viewing your web history because, well, it was never recorded. The same cannot be said about other VPNs so what’re you waiting for? Get IPVanish today! Aside from privacy though, VPNs have another benefit and that’s helping address geographic restrictions. You see when you browse content from a specific country online, it’s quite common to receive an error message; “content is not available in your country”, or something of that nature. VPNs help bypass this restriction by masking your real IP address and giving you a virtual one that is specific to the country where the content is available. We strongly believe that IPVanish is the best VPN for streaming online. We managed to get an exclusive 57% of IPVanish. Now, Cinema APK is admittedly new in the streaming game. This is why a lot of people don’t really know about it. However, like Terrarium TV, it has an easy to navigate user interface and in fact, at first glance, it looks very similar. Additionally, it includes a similar, but massive, a database of content media which included a lot of material in HD as well. Do note though that Cinema APK does not host any content on its own. Instead, it acts as a gateway and pulls streaming links from various other servers and websites on the internet. As for watchable content, you can watch on-demand videos on the platform in addition to the standard movies and TV series collection. However, there are several features that have made Cinema APK stand out from the rest. At the moment, the latest version of Cinema APK has added an entirely new HD Release category. This is expected to update so that more and more of your favorite content is available in HD. It can also support Real- Debird now; so, if you use Cinema APK with your Real- Debird account, you’ll have access to even more HD content. In addition, Cinema APK will import all of your favorites and watched history from TrakTV so make sure that you configure this in the settings area. But that’s not all. The new release has also brought in support for Amazon Fire TV Stick. It has also updated subtitles for Chromecast. Episodes are updated as soon as they’re aired so really, Cinema APK is doing quite well with the updates. The newest update also includes the option to add Netflix, YouTube Red, Hulu, and Amazon lists onto the interface. It has also made the experience more customizable for users. We expect great things from Cinema APK so, as you can tell, we’re quite happy about these new features. In conclusion, Cinema APK is probably the next best thing after Terrarium TV’s unfortunate demise. 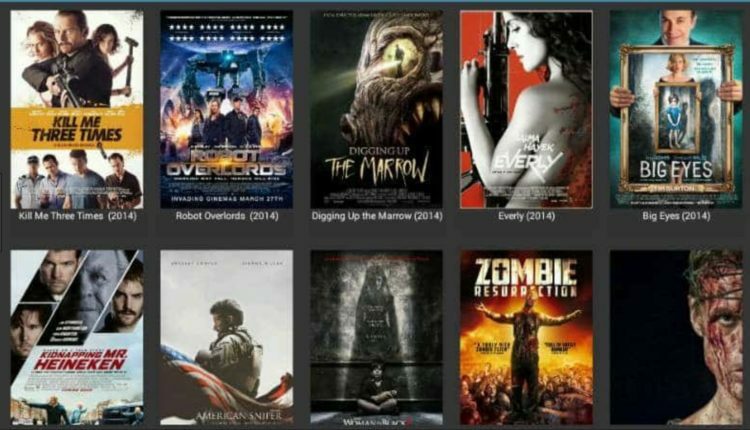 In fact, as you can see by its features, even if Terrarium TV hadn’t been shut down so suddenly, Cinema APK would still rise, because it’s truly amazing with its large database of watchable content which includes movies, TV series, music, and even documentaries and films from other countries. That’s why we recommend using Cinema APK. We hope that you find this review of the platform to be useful. Do not forget however to turn your VPN On, before streaming any content; you can drive into troubles by accessing illegally to contents without even have real notion of it! If you don’t have one yet or are not sure, just visit our guide on the Best VPN Services and pick the one that suits you. Hope you have enjoyed. Have a nice day! I will definitely try Cinema APK with NordVPN, because this VPN works with basically everything! Thanks for the article!